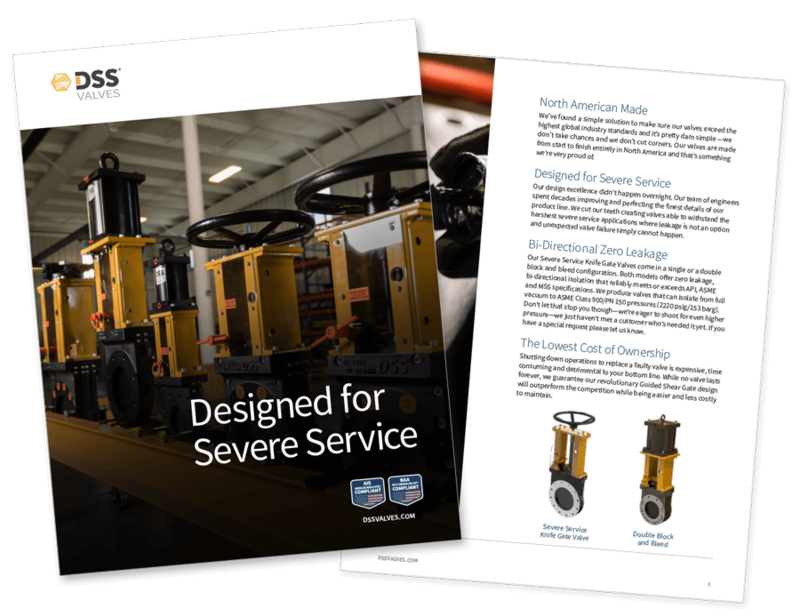 Learn about the our team, the problems our designs solve and what makes a Severe Service Knife Gate Valve. 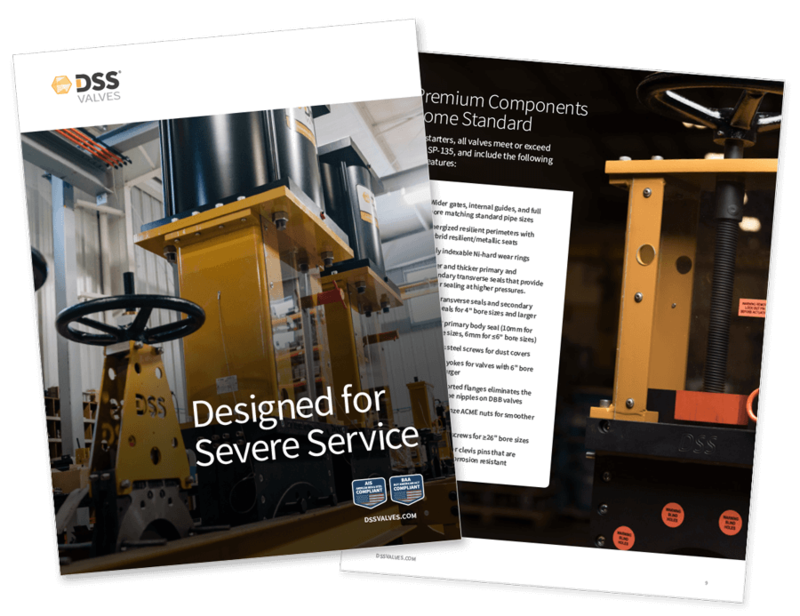 Get a detailed look into our product features and benefits, design specifications and ordering information. 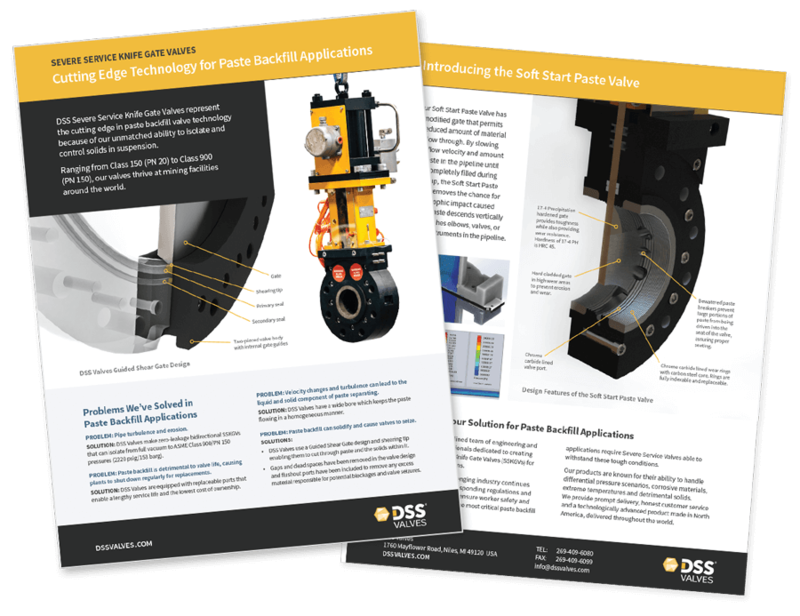 See how our SSKGV and Soft Start Paste Valves take on one of the toughest applications — Paste Backfill. 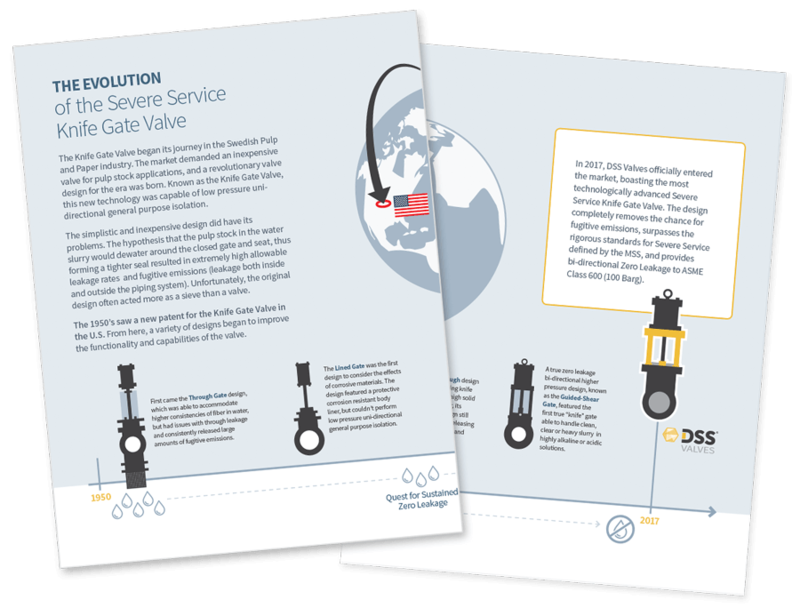 Check out this informative infographic about the evolution of the Severe Service Knife Gate Valve. 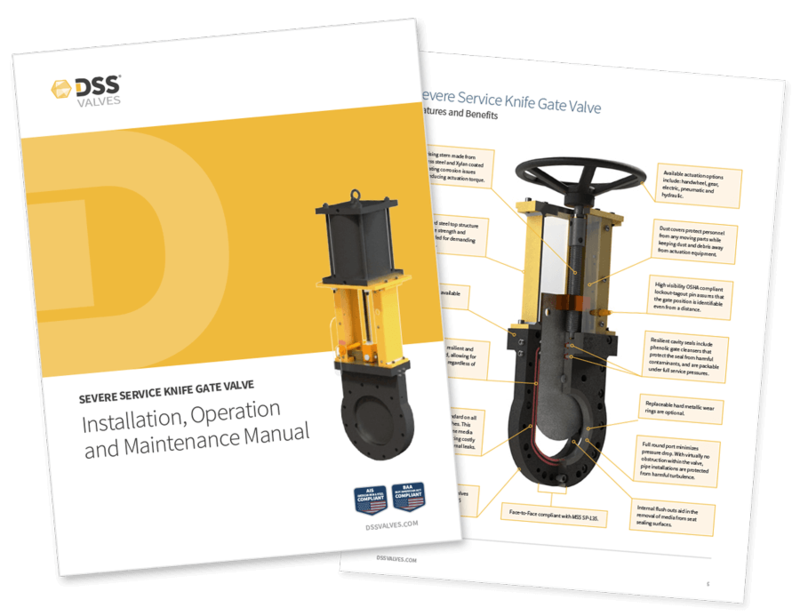 Download the Instruction, Operation and Maintenance Manual for our Severe Service Knife Gate Valves. 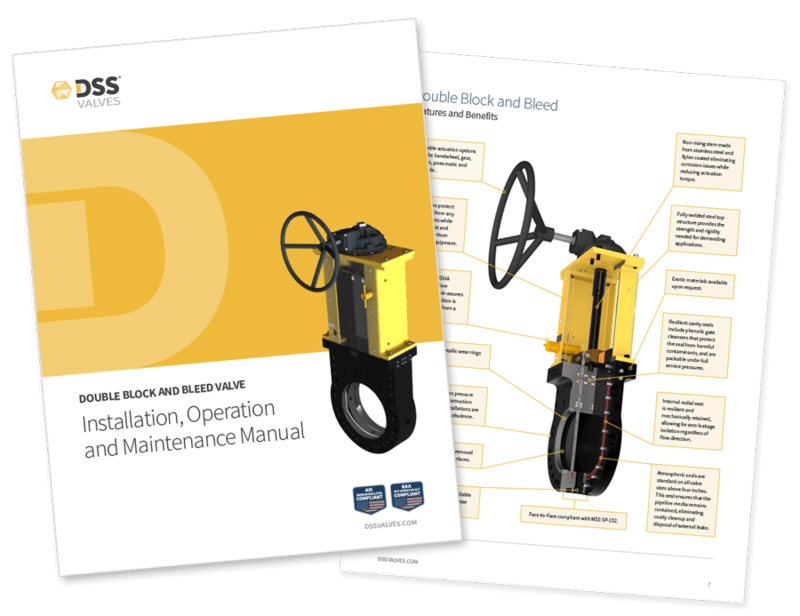 Download the Instruction, Operation and Maintenance Manual for our Double Block and Bleed Valves. © DSS Valves. All Rights Reserved.